Originally known as Gopher Hill, the Town of Ridgeland was incorporated in 1894 and was the first railroad stop at the highest point between Savannah and Charleston, which is how the Town’s trademarked motto “The High Point of the Lowcountry™” came about. 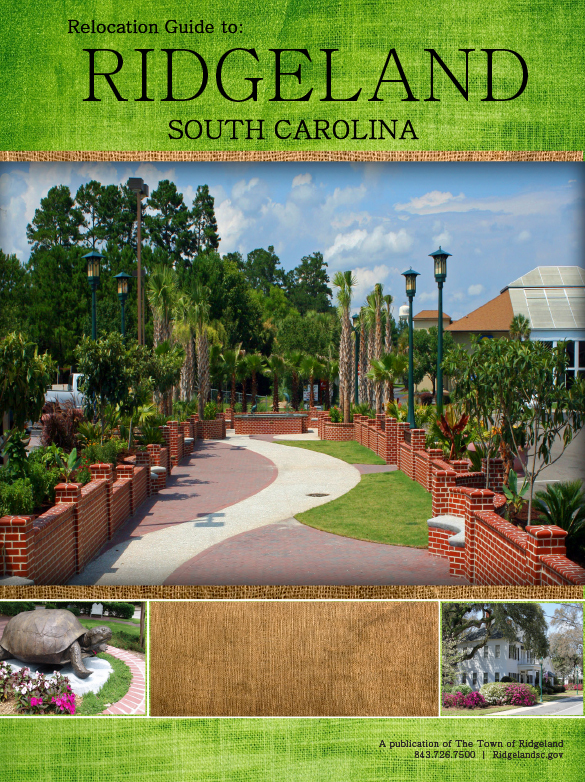 Ridgeland is the historic “gateway” to the South Carolina lowcountry. With just over 4,000 residents, Ridgeland is one of the last, remaining authentic lowcountry communities. Ridgeland is rich with pre-revolutionary and civil war history and is well-known for its commitment to preserving natural resources, small-town charm and business-friendly environment. We welcome you to stop and visit and dine at one of our award-winning South Carolina BBQ Trail© restaurants, renowned Gullah or seafood establishments. Recreational opportunities abound, with inshore saltwater fishing, hunting, nature trails, tennis, golf, etc.